I always make it a habit to take as many photos as I can. As Jake grows older, his appearance changes. This helps keep my artwork consistent and adds chronology to his comic book universe as he matures. 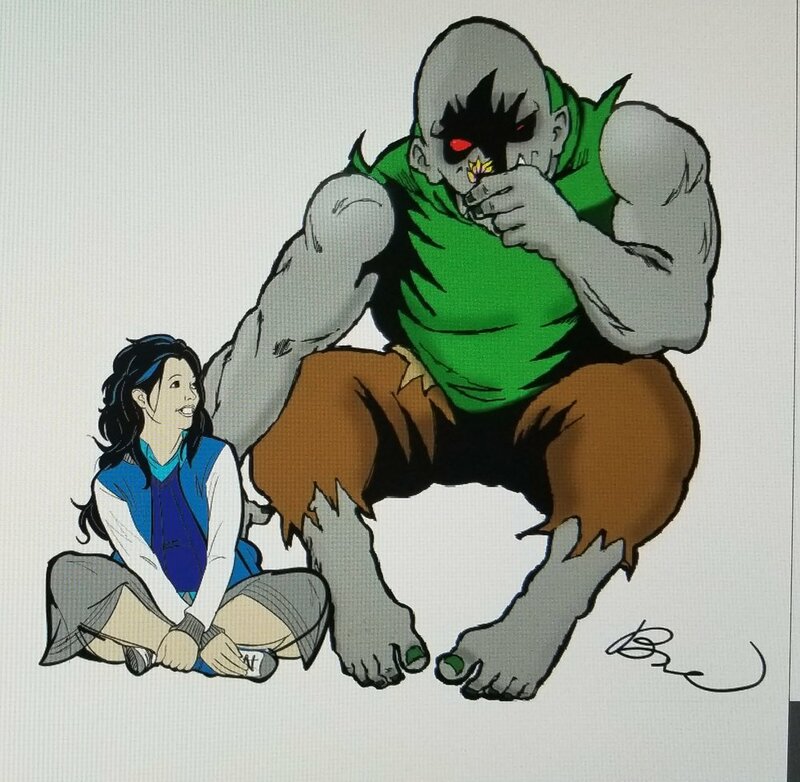 Marrz the Troll began was originally a villain in the original drafts of the story. One night, Jake woke up screaming in the middle of the night. Once he was able to tell me about his nightmare, I gave him a crayon and a piece of paper. I asked him to draw whatever it was that scared him. He drew the monster as best as he could. When he was finished, I suggested that Jake give his monster a silly name because No one is ever going to take a mean monster seriously if his name is "Bubbles". Marrz may seem like a monster on the outside. But he's really just a peaceful soul with an appetite for cheeseburgers. because it comes from a place of acceptance and unconditional love. I wanted to teach my son that, although we are different from each other, our hearts share a common feeling of love. She accepts him for who and what he is. She doesn't want to change aything about him.